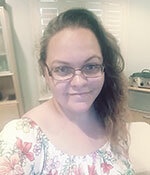 Tiffany is a skilled and compassionate massage therapist. Tiffany received her therapeutic massage certification from CLN in Mechanicsburg, and has been practicing as a massage therapist since 2008. She has over 10 years’ experience in the spa industry and beautifully brings together the essence of deep relaxation with deep tissue massage. Prior to being a licensed massage therapist, Tiffany worked as a care giver for 12 years, and brings her care and compassion to each individual she works with. Tiffany specializes in Bamboo Fusion massage, Hot Stone Massage, Signature Massage, and organic body wraps and body treatments. She especially enjoys the detoxification element of massage and customizing essential oils to create the healing benefits of aromatherapy. From assisting clients with injuries and chronic pain, to helping clients reduce stress, have greater range of motion, increase mobility or enhance mood; the natural healing power of massage is Tiffany’s life’s work. In her free time, Tiffany enjoys being outside with her family and especially enjoys hiking, fishing and camping with her son Zachery. 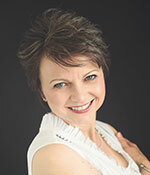 Cheri is a skilled and compassionate RN, Massage Therapist and Body Worker. Cheri is a Licensed Massage Therapist skilled in various techniques/modalities; including Orthopedic Massage and Bodywork, as well as traditional and eastern modalities, such as Indian Head Massage, and Access Bars. She brings a wealth of experience as an expert RN, BSN in the field of Integrative Nursing, including critical care. She is also a Reiki Master/Teacher with additional training with animals and is an Essential Oils Educator. Cheri has served in a variety of settings including both hospitals and wellness centers. She has excelled as Nurse Educator, Nurse Manager, Research Protocol Nurse and Clinician. Cheri has devoted her life to transformational healing and leadership with a passion for learning. She is a devoted practitioner of Heart Rhythm Meditation and brings her loving Spirit to everyone she meets. In Cheri’s free time, she loves being with her “Guys,” Husband Scott and beloved 4-legged Jasper. When you’re ready to take action, give us a call at The Family Wellness Center to arrange your first visit with one of our team members!